Language functions are a great way to focus student learning on communication. Showing students and having students study examples of language in use, language used to actually do and accomplish and communicate is a great methodology. 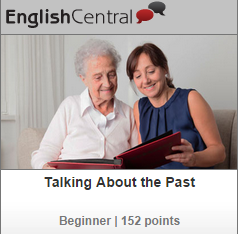 EnglishCentral now has many videos focused on all the important language functions. Greetings, talking about family, apologizing, using the phone etc …… Here is an example. Try it and see how great they are for teaching! Go here to find them all.